A few years ago, I was attending a yoga class every week. Stretching, relaxing, practicing breathing. It was amazing. You can just feel more awake and energized by doing yoga as part of your daily routine. I started off those classes with a “cheap-o” mat I’d picked up at a discount store. It was thin, it wasn’t comfortable, and got sticky if your hands were the slightest bit sweaty. Needless to say, that mat didn’t last very long. If only I had known about Aurorae Synergy Yoga Mats back then – but at least I know them now. I was recently sent an Aurorae Synergy Yoga Mat for review and it will absolutely make my yoga experience that much better. There are so many things about this mat that truly make it the best yoga mat I’ve ever used. First – it’s long. 72″ (or 6 feet) long. I’m not short but I’m not super tall either, and it was always kind of bothersome that sometimes my feet would hang off the edge of the mat. With the Aurorae Synergy Yoga Mat, yoga practitioners of all sizes can easily fit on the mat. 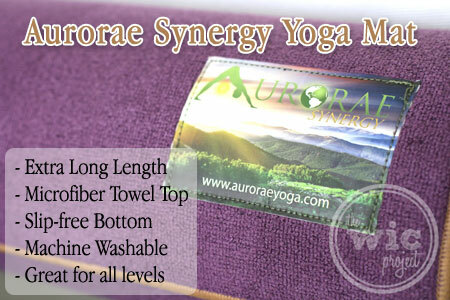 The Aurorae Synergy Yoga Mat has an absorbent micro-fiber towel top and slip-free bottom. 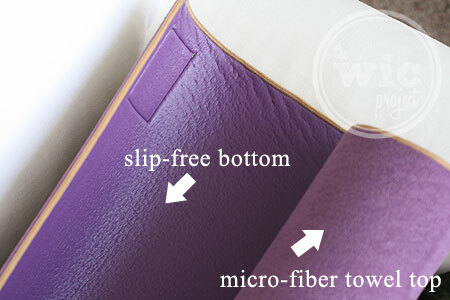 The mat itself is made with a very soft microfiber towel on top and a slip-free surface on the bottom. The towel top is great for absorbing sweat as well has keeping your hands and feet from slipping. You can also spray the top of the mat with some water to help with an even better grip. As the mat gets wetter – either from perspiration or water – it helps to keep grip even better. Another bonus is that the mat is machine washable, which is something I had wished I could do with previous mats, but couldn’t. 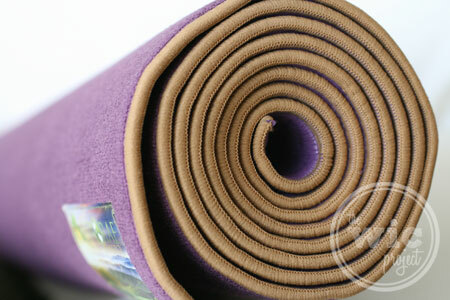 The Aurorae Synergy Yoga mats are 5mm thick. While I’ve had other mats that were thicker, they didn’t feel that thick. 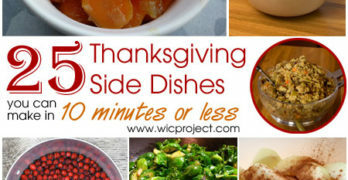 Almost as if they were mostly air so there wasn’t much cushion. With the Aurorae mat, there was noticeable padding that helped cushion my hands and feet. At 5mm thick, the Aurorae Synergy Yoga Mat provides great cushion and support. If you or someone you know practices yoga, or you’re thinking about getting started, I’d definitely recommend you check out Aurorae Synergy Yoga Mats. Normally priced at $89.95, they’re currently on sale for just $59.95 on Amazon, and are available in 5 different colors. Make sure you check out some of the other great yoga products available from Aurorae. One winner will receive their own Aurorae Synergy Yoga mat! I like the length of the mat and that its machine washable! I like that it can be washed in the washing machine. I like that it is Lush, Super Absorbent, Ultra Thick and Extra Long. Non-slip backing!! Nice and long! Love that it is non slip. My mat is either always sliding or curling up at the the ends. I love that the mat is non slip and machine washable. I like the no slip grip on the bottom. My mats are usually sliding all over the place as I try to do certain poses or pliates moves. I like that it’s machine washable!!! I love that there are two different textures on each side, and also how easy it is to clean. I like that it is great for all levels. I like the no slip feature! I really like that you can throw it in the washer to clean it. Machine washable? Now we’re talking! Love that feature. Machine washable? Now we’re talking! Love that feature a lot, as yoga mat tends to collect grime and sweats. A clean yoga mat will make the whole yoga experience so much better. I like that the mat has a slip-free bottom. I like that the mat is extra long and that it is absorbent. I love that the bottom is non-slip. I like that the towel top is a skidless surface. The look, the length and the washability – for starters! Right now I do myu few yoga poses on the living room carpet. I really NEED something like this! I like that it has a slip free bottom! I am a tall gal and I like that the mat is long so my legs do not hang out of it when I lay down. I love that it is machine washable! I love the towel top! I’d like the microfiber towel top best of all — in addition to it being 6 feet long — since I’m a human sweatball when I exercise. I like it is machine washable! I love the towel on top that absorbs sweat and the long length. i like that you can throw it in the washing machine. I like the mircofiber top. I haven’t seen a mat like that before. I like the microfiber towel top! I love that it is microfiber! 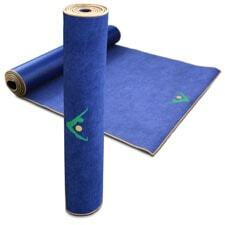 I like that it’s machine washable, I have never seen a yoga mat that was able to be washed in the machine. I like that the mat won’t slip. I like the slip-free bottom. I love that it has a Microfiber Towel top. The form has me as Angela H. I can’t seem to change that. I like how substantial it seems- sturdy and durable! microfiber on the top…that’s neat! I love that it is long, I am 6ft tall so this is perfect!